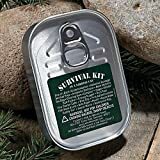 Bug out Bag Essentials: 5 Reasons to Buy That Ready Made Bugout Bag Now! 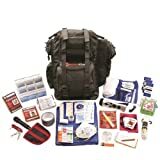 In a perfect world, everyone interested in bug out bags (BOB’s) would research, review and purchase all the necessary individual items to assemble a completely personalized bag/kit (BOB). Unfortunately, this is not always the case. 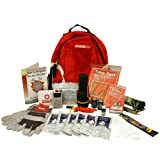 For some, it may make good and prudent sense to just buy a bug out bag with all the necessary items packed and ready to go. 1. To achieve immediate preparation. 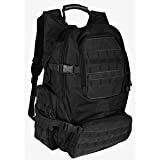 The time it takes to research, review and purchase each individual Bugout bag items may be too time-consuming for the typical individual. One never knows when a crisis may suddenly occur out of the blue. Therefore, a premade bag/kit would be a quick and painless solution to this problem. It can be purchased quickly and shipped expeditiously right to your home. According to a USA Today article, as many as 41 percent of American households are unprepared for any kind of disaster. Sometimes, there are friends or family who have a normalcy bias and will most likely never prepare for any emergency or catastrophe. Therefore, by gifting a bag, you can provide the means for them to make it through a crisis successfully. 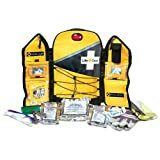 The key is to familiarize them with the items in the bag(s)/kit(s). Even better is to spend time with your loved ones to teach and practice using the contents in their BOB safely and correctly. 4. To overcome the tendency to over pack. 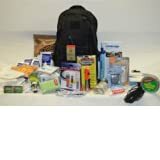 Many preppers have a tendency of over packing their bug out bag. These overweight bags oftentimes lead to physical health issues for the individual. 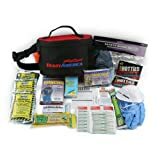 Stated by P. Henry of Prepperjournal.com, carrying an overweight bag can cause injury. 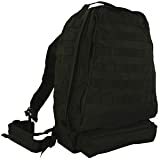 Studies * suggest when selecting an appropriate ready-made bugout bag, the total weight should not exceed 15% of total body weight for children and young teens. Adults in good physical condition should not exceed 30 %of their overall weight while those not in not so great shape, no more than 25%. Henry further mentions that oversized BOB’s can warrant unwanted attention especially by authorities and desperate unprepared people who could be compelled to attack and relieve you of your bag. 5. To prevent needless overbuying and overspending. 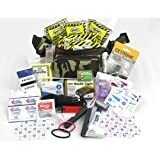 Most often, if you purchase all the items individually for your bug out bag, the total amount including the bug out bag itself may run way over the total cost of a complete ready to go kit or bag. Others however, tend to look into buying in bulk in order to get the best per item pricing. This is not always the best approach for many reasons. Unless you are planning to assemble numerous BOB’s, the overall saving and efficiency may be negligible. The additional cost for storing these extra products is substantial. The tendency to use up as much as possible the items before they expire or lose freshness leads to wastefulness. The danger of using medicinal or consumable goods after they expire can sicken you. The financial burden of overpaying and overspending or trying to save pennies does not in my opinion, outweigh the benefits of purchasing a ready to go bag or kit. 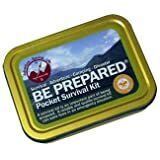 Therefore, for your convenience, I put together a guide for those who can no longer wait on the sidelines hoping to one day put together that “perfect” bug out bag. I scrutinized all the expert recommendations and summarized their best thoughts and advice on the gear you need. 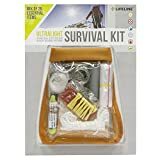 Different than most other BOB websites, this guide represents the three most popular Bug Out Bag types that experts recommend one should own. These bags are called (in order of size) an Everyday Carry (EDC) bag/kit/gear, Go/Get Home (GHB) bag and the 72 hour Bug Out Bag (BOB). Each one functions similarly but differently in regards to their intent. The EDC carries your most immediate pieces of equipment. You wear or store it on you personally on a daily basis! This is the gear you would use if you were unable to gain access to your more equipped GHB or BOB. The name Go/Get Home (GHB) bag tells you exactly its intended function. 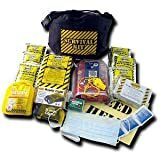 If you were at work, school or away, the GHB should contain enough emergency items to get you home or to your pre determined Bug Out Location (BOL) safely within a couple of days. Lastly, the heaviest bag of the three bags present is the 72 hour Bug Out Bag. 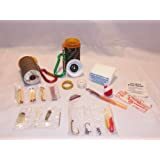 Its contents contain supplies that should last for at least 3 days to reach another safe location if you were expected to evacuate from your home. Remember you are packing for one person only. Each family member must have provisions to last them three days too! All of the bags shown below should provide you with gear that is lightweight, compact, multi-functional (whenever possible) and of high quality. Even though the bags mentioned in the chart are some of the best available, you may still need to supplement the contents with additional items that might be missing. You might also decide to upgrade some of the gear in the bag with something that satisfies your needs due to weather, terrain or exposure risk. 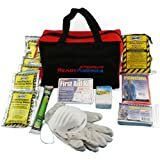 To find out about the most suggested emergency items by top emergency experts, go back to the Ultimate BOB List I provide it on the main page of my aboblist.com website. The price symbol “$” reflects the cost of that item when compared to the calculated average price of all the products on the chart. The total “$” shown indicates how much more or less the cost was for that particular item when compared to average. The BOB Score was devised by using various measurable factors and comparing them to the other items on the chart and in my research. Knowing BOB capacity best illustrates the amount of gear that can be stuffed in and around your BOB. Converting cubic inches into gallons or pints is used to help you visualize the total space available in your BOB. Remember gallon or pint is not to be used to illustrate weight but to give you a mental picture on space capacity (ex. 2 gal. means 2 gallons of water will fit snuggly in the bag).